Lily Zhang is a programmer and statistician at the UCLA Semel Institute’s Health Services Research Center. 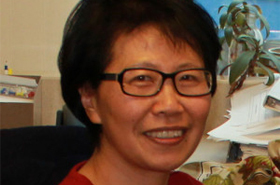 Zhang has expertise in programming, data management, and analytic methods such as random cross classification modeling, structural equation modeling, multiple comparisons, and propensity-score sub classification. She also has extensive experience in conducting weighted analyses. For the proposed center, Zhang will support analyses of data, including cleaning and preparing data files, running reports on data, creating sub-files for analyses and providing programming assistance. Additional support for Zhang is requested in specific center pilot budgets.